What is the most wonderful time of the year? In my opinion, it is when the new Year In Space Calendars come out! This is our most-recommended holiday gift every year and whether it’s the gigantic wall calendar or the spiral-bound desk calendar, the 2018 versions don’t disappoint. They are full of wonderful color images, daily space facts, and historical references. These calendars even show you where you can look in the sky for all the best astronomical sights. The 2018 Year in Space Wall Calendar. Courtesy Steve Cariddi. The gorgeous wall calendar has over 120 crisp color images and is larger, more lavishly illustrated, and packed with more information than any other space-themed wall calendar. It’s a huge 16 x 22 inches when hanging up. 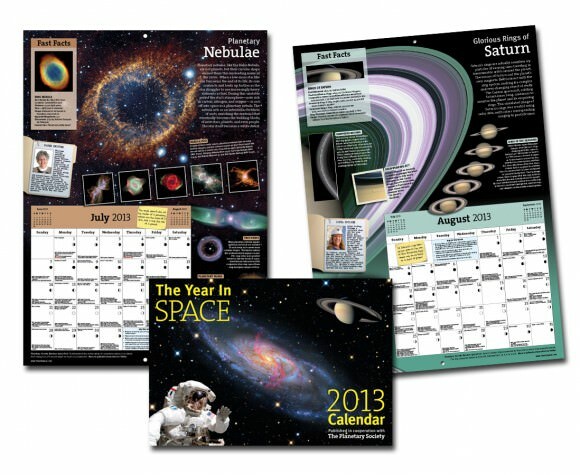 The Year in Space calendars normally sell for $19.95, but Universe Today readers can buy the calendar for only $14.95 or less, with additional discounts that appear during checkout if you buy more than 1 copy at a time. Check out all the details here. A close look at the 2018 Year in Space Wall Calendar. Courtesy Steve Cariddi. The spiral bound desk calendar. Image courtesy Steve Cariddi. Preview the calendars on the Year In Space website, where you can also get a direct link to Amazon. Because all shipping is handled through Amazon this year, currently calendars can only ship to US addresses. Yes, it’s that time of year again when everyone struggles with what gifts to buy their family and friends for their holiday-of-choice. 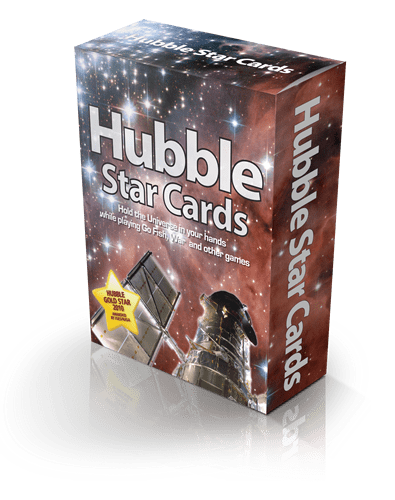 Whether you are hoping to foster a love of space and science in a young child, or want to surprise that special adult “Super Space Nerd,” we here at Universe Today are here to help our readers out with ideas and recommendations to fit virtually any budget, experience level, and area of interest, including telescopes, books, and other items that the “space/science geek” in your life would love to receive! Every year, it’s the same dilemma: what gift should you get for the super space nerd in the family? And if someone has a budding interest in space and astronomy, what can you do to feed their hunger for knowledge? Today we’ll talk telescopes, books and planispheres. Everything you need to avoid a holiday gift disaster.